Today is the birthday of the late Oliver Albee “Pete” La Farge (1931-1965). 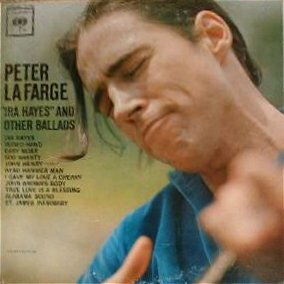 With protest roiling all around it seems timely to contemplate folksinger/ songwriter La Farge’s life and works. But before I get there, I feel compelled to take a roundabout route. There’s no way for someone like me to talk about him without mentioning his lineage, for he was a member of what you might call America’s cultural aristocracy, with deep roots not only in my home state, but in my home town. 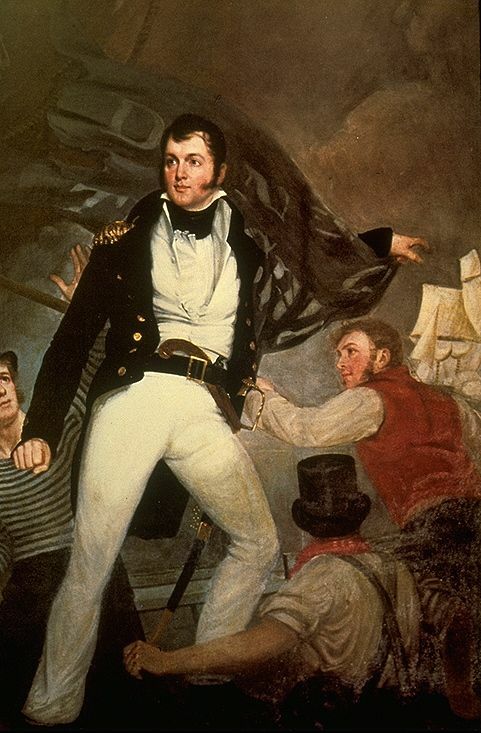 La Farge was the great-great-great grandson of Commodore Oliver Hazard Perry (1785-1818), one of America’s first notable military figures, hero of the War of 1812, and also America’s quasi-war with the French, and the naval battles with Barbary pirates. He is famous for the slogan on his battle flag: “Don’t Give Up the Ship” and for uttering the immortal phrase “We have met the enemy and they are ours…” (later parodied in the comic strip Pogo as “We have met the enemy and they are us.”) Perry was born and raised in my hometown South Kingstown, Rhode Island, so I’ve known his name since I was a school child. (It turns out that I am distantly related to him as well, through our common ancestors the Wilbores). In 1860, Perry’s granddaughter Margaret Mason Perry married John La Farge (1835-1910), an influential painter, illustrator, and stained-glass artist. Of French parentage, the wealthy La Farge was born in New York and studied painting with William Morris Hunt in Newport, Rhode Island. He traveled widely in Asia with Henry Adams (whom I recently learned I’m related to) and brought back influences of Japan and the South Seas which he expressed through his famous work, which you can read about here. 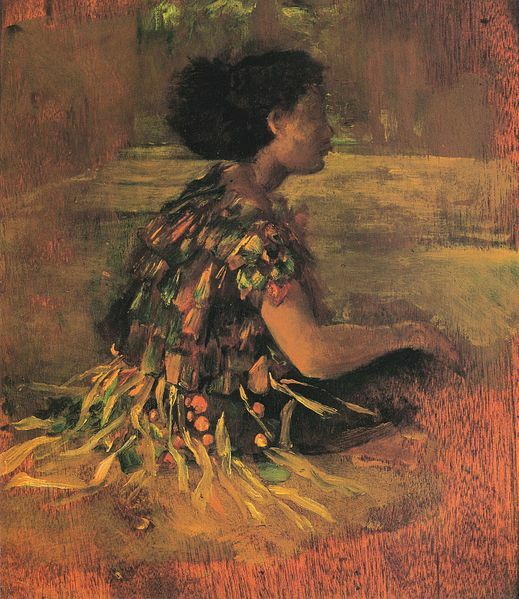 Of John La Farge’s eight children (all born at Newport), several were distinguished. Christopher Grant La Farge (1862-1938), the oldest, became a noted Beaux-Arts architect, whose best known work includes the Cathedral of St. John the Divine and several buildings at the Bronx Zoo. There’s a good article about la Farge’s firm here. His younger brother Oliver Hazard Perry La Farge (the first) was also a notable architect, writer and real estate developer. John’s youngest son John La Farge Jr., a Jesuit priest, became a famous and influential crusader against racism and anti-semitism. Of the next generation, several more La Farges were equally famous. The best known is Oliver Hazard Perry La Farge (the second), Christopher’s son, a Pulitzer Prize winning novelist and anthropologist. His main field of study was Native American culture, which he wrote about in several books, both fiction and non-fiction. 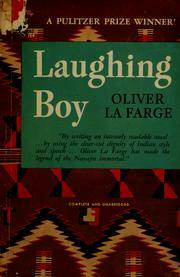 Laughing Boy (1929) was the one that won the Pulitzer, and remains his best known work. (This Oliver was Pete’s dad). Oliver’s older brother Christopher La Farge, was also a distinguished and prolific novelist, poet and playwright, known for writing verse novels about life in Rhode Island. Remarkably, he also worked as an architect at McKim, Mead and White. I am one degree of separation from this La Farge! For when I was in high school, his son the poet W.E.R. La Farge came to my high school class and did a writing work shop. Not for nothin’, but he actually singled out a poem of mine and showed it to the class! (In retrospect, we behaved like, well, teenagers, and didn’t give this special opportunity the respect it deserved. If only I could turn back the clock -!) W.E.R.’s daughter Annik maintains a loving web site in his honor, and has also taken up the family business of writing and love of architecture, penning an excellent book and blog about New York’s High Line. Learn all about it here. Now we come to Pete. Pete was the son of the Pulitzer prize winning OHP. Born in NYC, but raised largely in New Mexico and Colorado, when he was still a boy he met the legendary Josh White, who inspired him to become a folk singer. In the late ’50s, he moved to Greenwich Village and became one of the key players in the scene I wrote about here. His western upbringing imbued him a love of both cowboy culture and the culture of Native Americans. It gave him an interesting authenticity that set him apart from many of the folk musicians of his generation, and in reality he was kind of a bridge between that older (30s and 40s) generation of folk and blues players and his contemporaries (Bob Dylan, Dave Van Ronk, etc). He became most famous for penning a song called “The Ballad of Ira Hayes” — a true story about one of the guys who raised the flag at Iwo Jim in that famous WWII photo. Hayes was a Pima Indian from Arizona. After all the heroism hoopa he went back home, where there was no opportunity and he drank himself to death. Johnny Cash had a hit record with the song in 1964, and Bob Dylan did a version on his 1973 Dylan LP, although the version I know best is Patrick Sky’s, recorded on his eponymous debut album in 1965. I’ve been listening to Sky’s record quite a bit over the past year…it was exposure to that version that led me on the journey to this blogpost. La Farge also co-wrote a song with Dylan called “As Long as the Grass Shall Grow”. 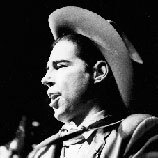 He made several records during the folk boom of the early 1960s, and died by accidental overdose (there are conflicting reports) in 1965. Thanks for the memories. I knew Pete, and Pat , and Dave, was involved in the music business the mid 60’s.